Dr. Esters is the Founder and President of Esters Consulting, LLC, a firm dedicated to providing consulting services to individuals, colleges and universities and non-profit organizations focused on three areas—grant-writing/program evaluation, partnership engagement/strategic development, and business development. 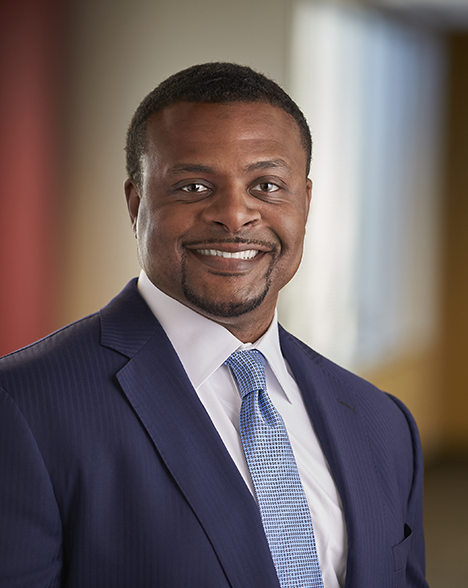 Dr. Esters served as Senior Program Director and was later promoted to Vice President, Philanthropy for Strada Education Network (formerly USA Funds®), where he was responsible for grant-making in support of Strada’s mission and focus on Completion With a Purpose®. He managed grants totaling over $17 million that impacted over 160 colleges/universities and more than 1.7 million students. His primary responsibilities included creating and directing effective grant-making programs by designing and formatting grant application materials to meet organizational objectives, developing and managing a database of current research and opinions related to issues of importance to designated initiatives, translating research learning into usable evaluation frameworks, and creating and fostering a public image for Strada’s philanthropic and national engagement work. Kentucky State University: Kentucky State University is a public historically Black, liberal arts, land-grant University in the Commonwealth of Kentucky. The university enrolls approximately 3000 students in undergraduate and graduate programs. As the Vice President for Student Success and Enrollment Management, he managed a staff of approximately 85 employees across twelve units with an annual budget of over $11 million. He was responsible for all student programs from recruitment to graduation, including enrollment services, retention management and advising services, student engagement and leadership development, and university police. Redesigned academic advising model at the University in collaboration with the Office of the Provost. Education experts and leaders talked about higher education accessibility and affordability and how to re-establish the United States as a global leader in education. Michael Crow moderated the panel sponsored by Arizona State University at the National Press Club. Association of Public and Land-grant Universities (APLU): The Association of Public and Land-grant Universities (A۰P۰L۰U) is a voluntary, non -profit association of public research universities, land-grant institutions, and many state university systems. The association’s overriding mission is to support high-quality public higher education and its member institutions as they perform their learning, discovery and engagement missions. The association’s membership includes 219 institutions with member campuses in all 50 states, the District of Columbia and the U.S. territories.